'We Are Sorry' Rupert Murdoch Tells Readers In U.K. : The Two-Way The News Corp. CEO apologizes for his newspapers' "serious wrongdoing" in the U.K. Investigators hired by the news outlets allegedly got private information about thousands of people, from the royal family to murder victims. The scandal began at News of the World, which folded last Sunday (July 10, 2011). We began the day noting that one of Rupert Murdoch's own publications was describing him as "defiant" in the face of the snooping scandal that has engulfed some of his News Corp. newspapers in the U.K. But now, as The Guardian reports, there's word that there's a signed letter from Murdoch going into millions of British newspapers this weekend in which he writes that: "We are sorry." -- "The serious wrongdoing that occurred." -- "The hurt suffered by the individuals affected." -- "Not acting faster to sort things out." 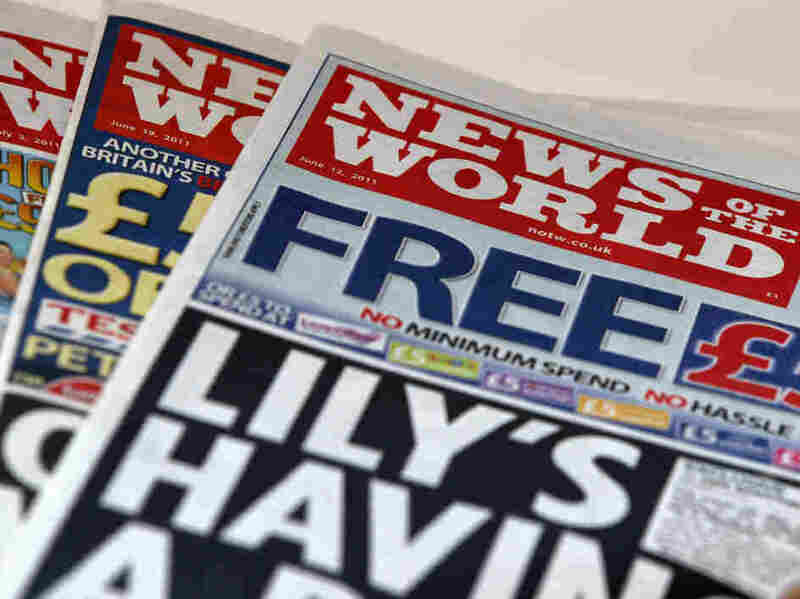 -- There are allegations that News Corp. newspapers in the U.K. tapped into the cell phones of thousands of people from the royal family down to murder victims. And it might have been helped by police officials who were paid for information. -- The FBI is looking into whether those news outlets might also have gotten access to the cell phone records of 9/11 victims in the U.S.
-- The company's top news executive in the U.K., Rebekah Brooks, has resigned.